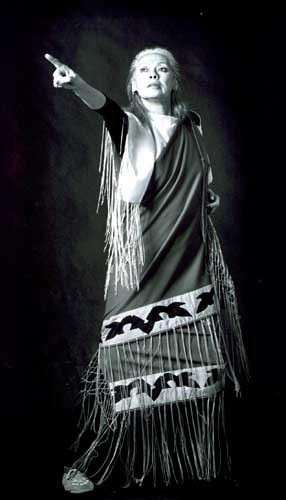 the dance, music, culture and art of Native North Americans. Founder and Artistic Director of DAYSTAR Dance Company. "Malinche: The Three Name Woman"
Daystar/Rosalie Jones was born on the Blackfeet Reservation in Montana and is Little Shell Chippewa ancestry on her mother's side. 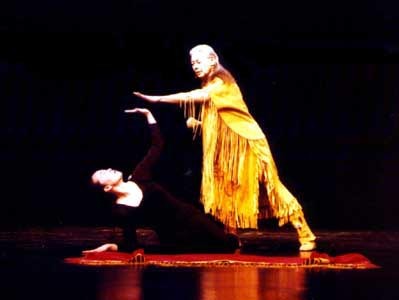 *Indigenous dance and cultural forms of the Plains, Woodland acquired over a lifetime of personal study and cultural association. In addition, study of Northwest Coast dance/song and Conchero dance of Mexico. 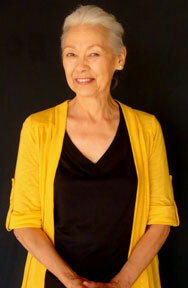 *Responsible for the revitalization of Performing Arts at the Institute of American Indian Arts in Santa Fe, New Mexico, during the early 1990's when she was Chair of the Department. Over the past 30 years, Daystar and the Company has taught in a variety of educational institutions, from elementary to university level, and in cultural and community settings both native and non-native. The teaching process of Daystar is both personal and tribal. Theatrical ideas - which encompass story, choreography and music - are developed for individual and group training in expressiveness, but with respectful attention being given to the dictates of the tribal community and tradition. American University in Bulgaria and Anadolu University, Turkey. 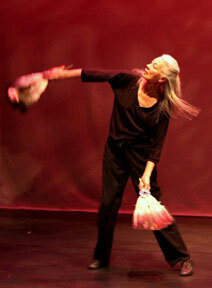 Native American Dance, Storytelling, and Mask and Myth. "La Malinche: The Woman With Three Names"
"Prayer of the First Dancer"
"Native Bach: Homage to the Hoop Dancer"